In the consumer electronics boom following World War Two, a rapidly-growing number of homes contained analog CRT-based TVs, and repair shops soon appeared on every street. Technicians found these complex devices could best be serviced by injecting a synthesized signal at various points and accessing it downstream by means of an oscilloscope, thus isolating the defective stage. In those days, the tube-type instrument injecting the waveform was known as a signal generator. In our digital age, instruments that synthesize these signals have differentiated into several categories, the most widely-used being the arbitrary function generator (AFG). When you see the word “arbitrary,” it means the instrument is capable of generating a limitless variety of signals based on user inputs. There is a distinction between the AFG and the arbitrary waveform generator (AWG). Tektronix AFG31000 arbitrary function generator. A simplified AFG is available as an option in most digital storage oscilloscopes. Like the autonomous bench-type AFGs, it contains an internal library of generic signals, which can be modified regarding frequency/period, amplitude and offset, high and low level. Load impedance can be set at High Z or 50 Ω, and 0 to 100% noise can be added. High and low levels for common logic levels can be set: user-selected, TTL, 5.0-V CMOS, 3.3-V CMOS, 2.5-V CMOS, and ECL. Sine waveform. The fundamental thing to notice is that the rate-of-change varies inversely with the amplitude. At the positive and negative peak voltages, the waveform flattens out as the amplitude rate of change approaches zero. And when amplitude is close to zero so the trace is crossing the X-Axis, the rate of change is greatest. We can alter these proportions by turning either the channel scale or the horizontal scale knob, which do the same thing. But it is not the electrical wave that is being modified, just the way it is displayed. Next is the Square Wave. It is different from the sine Wave in regard to rate-of-change. Rise and fall times are near instantaneous. Pulse is similar to Square Wave except that the duty cycle can vary over a wide range. Ramp has a linear rise and fall. A variation, the sawtooth Wave, was used in analog TV and CRT-based oscilloscope sweep circuits. DC amplitude with respect to time does not change. Noise is a random amplitude waveform of indeterminate frequency. Pressing Output Setting, various percentages can be added to any waveform except of course to noise itself. Sin(x)/x is an interesting waveform whose amplitude spikes at regular time intervals. It is used for interpolating values between discrete samples in a digital oscilloscope so that the trace does not consist of dots only. The waveform of the Gaussian or normal distribution may be plotted as the number of quasi-random events or measurements plotted against time, and strangely they are not so random after all. Informally, this is known as a bell curve, but not all bell curves are Gaussian. The Lorentz waveform is used in modeling and derives from quantum effects. Exponential Rise and Exponential Decay have nonlinear segments with abrupt transitions preceding the following cycles. The Cardiac Waveform is non-dynamic. It is used as a standard in testing, calibrating and verifying heart monitoring equipment for healthcare facilities. Tektronix has introduced a new series of AFGs with many advanced features, enhanced specifications and a user-friendly interface. The AFG31000 Series arbitrary function generators have twelve built-in waveforms, arbitrary waveform capability, signal impairment options and various modulation modes. The large touchscreen interface is the most immediately noticeable improvement followed by features like InstaView technology (which allows you to see immediately the waveform at the device under test) and the ability to program and sequence waveforms. Additionally, there are 25 shortcut keys. The dual-channel models output two signals that can be tightly synchronized or displayed in completely independent modes. The 25 shortcut keys are a time-saving feature that reduces set-up time by immediately accessing frequently-used functions and parameters. Waveforms with high timing resolution are possible by means of up to 2 GS/sec rate. ArbExpress software enables the instrument to easily create and modify waveforms, which can be imported from a bench-type oscilloscope or created using the equation editor, drawn by free hand, point draw or waveform math. A vital part of any electronic test instrumentation is the documentation that goes with it. The AFG31000 Series User Manual is exceptional. Besides the usual sections on operating and functions basics, it contains tutorials on how to select a waveform and adjust settings, and how to create a sine Wave. These comments are applicable to all AFG31000 Series instruments. 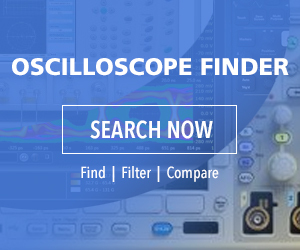 To select a waveform, after powering up the instrument, connect a BNC cable from the channel one output of the arbitrary function generator to an oscilloscope input connector. Then, in the AFG, select Basic. Choose a waveform. Press the front panel channel one output button to enable the output. The waveform will appear on the oscilloscope screen. Use the front-panel shortcut buttons on the AFG to select Waveform Settings. Select Frequency as a setting to be changed. Use the keypad to change the frequency value and press the Enter button to complete the entry. You can change the amplitude, phase, and offset value in the same way. You can also change the frequency value using the navigation wheel and the arrow keys. To increase the value, turn the navigation wheel clockwise. To change a specific digit, select it by pressing the arrow keys, then change it by turning the navigation wheel. Press the front-panel Sine button, and then press the Continuous button to select a waveform. Press the front-panel Channel One Output On button to enable the output. To change the frequency, press the front panel Frequency/Period shortcut button. The Frequency/Period/Phase Menu is displayed and Frequency is selected. You can now change the frequency value. Use the keypad to change the frequency value and press the Enter button to complete the entry. You can change the Amplitude, Phase, and Offset value that way. You can also change the frequency value using the navigation control and the arrow keys. To increase the value, turn the navigation control clockwise. To change a specific digit, select it by pressing the arrow keys, then change it by turning the navigation control. With the instrument powered up connect a BNC cable from the CH1 output of the arbitrary function generator. You can use the front-panel shortcut buttons to quickly select a waveform setting. When you specify a waveform setting using the shortcut buttons, the active setting is displayed in green in the graph area. The AFG31021 has a 25 MHz output frequency with one analog channel and a 250 MS/s sample rate. List price, US $2,210. The AFG31051 has a 50 MHz output frequency with one analog channel and a 500 MS/s sample rate. List price, US $2,440. The AFG31022 has a 25 MHz output frequency with two analog channels and a 250 MS/s sample rate. List price, US $3,340. The AFG31052 has a 50 MHz output frequency with two analog channels and a 500 MS/s sample rate. List price, US $3,680. The AFG31101 has a 100 MHz output frequency with one analog channel and a 1 GS/s sample rate. List price, US $4,270. The AFG31102 has a 100 MHz output frequency with two analog channels and a 1 GS/s sample rate. List price, US $6,090. The AFG31152 has a 150 MHz output frequency with two analog channels and a 2 GS/s sample rate. List price, US $7,150. The AFG31251 has a 250 MHz output frequency with one channel and a 2 GS/s sample rate. List price, US $9,600. The AFG31252 has a 250 MHz output frequency with two analog channels and a 2 GS/s sample rate. List price, US $14,100.